Dozens of students at Indiana’s Notre Dame University protested White House policies on Sunday by walking out of a commencement speech by Vice President Mike Pence, who criticized political correctness at American colleges. 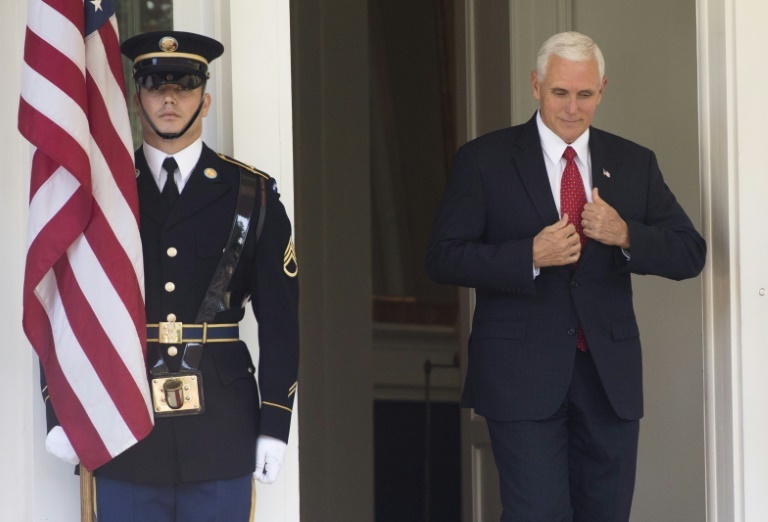 The members of the graduating class — dressed in cap and gowns together with some two thousand classmates — stood up and quietly left the school’s football stadium when Pence began delivering his speech, videos posted online showed. Others cheered and some booed. Notre Dame, in the city of South Bend, is one of the country’s most prominent Catholic universities. “These all-too-common practices are destructive of learning and the pursuit of knowledge, and they are wholly outside the America tradition,” he added. In addition to Pence’s record as governor, the protesters said they wanted to voice objections to Trump’s threat to civil liberties and policies such as his attempts to ban travelers from some Muslim-majority countries. “The participation and degree-conferring of VP Pence stand as an endorsement of policies and actions which directly contradict Catholic social teachings and values and target vulnerable members of the university’s community,” Notre Dame student Xitlaly Estrada said in a statement by the student group WeStandForND, which organized the protest.